Boost your creativity with the Photoflex LitePanel Hardware. 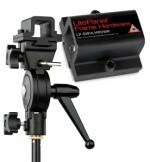 It allows you to position the company’s LitePanels in more locations and at more angles with the Hardware’s various clamping options. 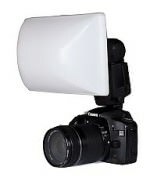 Quickly handhold a LitePanel or attach the Hardware to Photoflex LiteStands. Order yours from Photoflex HERE. and then click below to order it from Amazon for just $91.77. With the free More Photos App and a 12-month subscription, you can upload as much as 5GB of your photos and begin selling “more photos” from your Facebook business page. It’s an easy way to generate income from your photos at just $83.40 for an annual subscription. Click below to learn more and upload your free More Photos App. The Spider Black Widow Kit is the perfect way to carry your small DSLR or compact camera…in a holster on your hip! Your hands are free, but your camera is ready to draw and shoot at any time. The Kit includes the Black Widow Holster, Black Widow Belt, Black Widow Pad and Black Widow Pin. It’s only $65.99, when you click below to order directly from Spider. At 6” x 4” x 3,” the Graslon Insight 4300D Flash Diffuser is for photographers who don’t need all the coverage of the Graslon Prodigy 4100D. 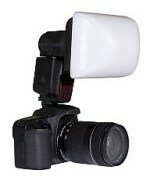 The Insight has the same optical reflector system that makes the Graslons like no other flash diffusers. The Insight is also available with a domed or flat diffuser panel. Click here to order yours for just $69.95. The Sirui C-10 Ball Head is constructed with forged, aircraft-grade aluminum alloy parts and has a separate lock for panning – in addition to the main ball head lock. The panning motion is so smooth that you’ll think it's a fluid mechanism! 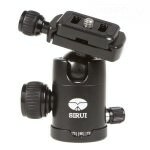 The ball head includes an Arca-Swiss-compatible quick-release plate and you can use the full range of Sirui quick-release plates, for maximum flexibility. 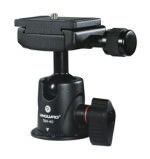 Click below to order the Sirui C-10 Ball Head from Amazon for $79.95. Here is a great filter for the landscape or wildlife photographer, who wants more detail in the sky, and still accurately expose the foreground. 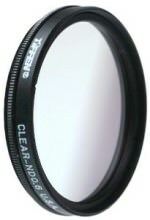 This Tiffen filter has a smooth gradation from the clear to the neutral density portions. Click below to order one or more today from Amazon for $69.95. Zenfolio is the total solution for every photographer, especially professionals, who want portfolio Websites for hosting all their photos and videos, beautiful presentation galleries, online client proofing, a wealth of marketing tools, an online store and powerful security and backup tools. Zenfolio’s Unlimited Package is only $60/year and includes unlimited storage, hosting of HD videos and use of your domain name. Click below for more information. HDR Efex Pro 2 is a powerful tool that enables professional and amateur photographers to create exceptionally natural and artistic images. A complete range of HDR looks, start-to-finish workflow, one-click presets and precise selective fine-tuning using patented U Point® technology simplify and increase the speed of processing and creating high dynamic range images. 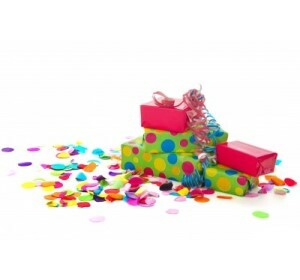 Click below for all the details and to order for just $99.95.